Cold season will soon be behind us (thank the heavens above! Anyone else over all the tissue and cough drops? I just can’t with it all.) As you’re looking ahead to warmer months, bid that chilly weather adieu with your bare feet propped up on a patio chair and an ice cold Gold Rush Cocktail in your hands. This gorgeous gold rush drink recipe isn’t for sipping under the covers while blowing your nose. Nope! It’s like a cold hot-toddy. 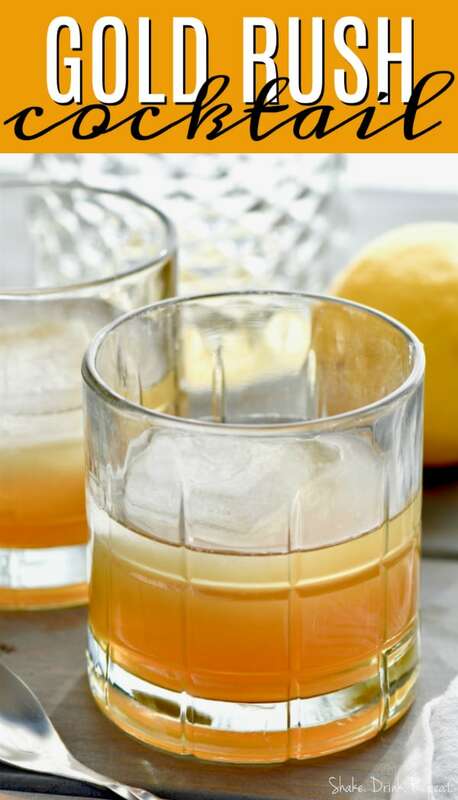 The bourbon flavor blends flawlessly with lemon and honey to create a refreshing cocktail that you’ll love to sip slowly on a warm afternoon. Try this Tropical Tea or this Indian Summer Bourbon Cocktail recipe for more porch-sittin’ sips. WHAT DO YOU NEED TO MAKE A GOLD RUSH COCKTAIL? 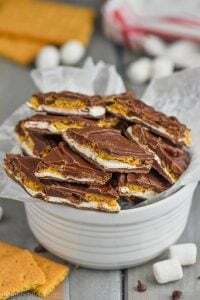 All you need for a batch of this delicious gold rush is probably in your kitchen right now! Good bourbon, lemon juice, and honey. That’s it. Oh, and ice. It’s a cold drink, after all. Want more warm-weather recipes? Try this Apple Brandy Slush or this Orange Whiskey Cocktail. 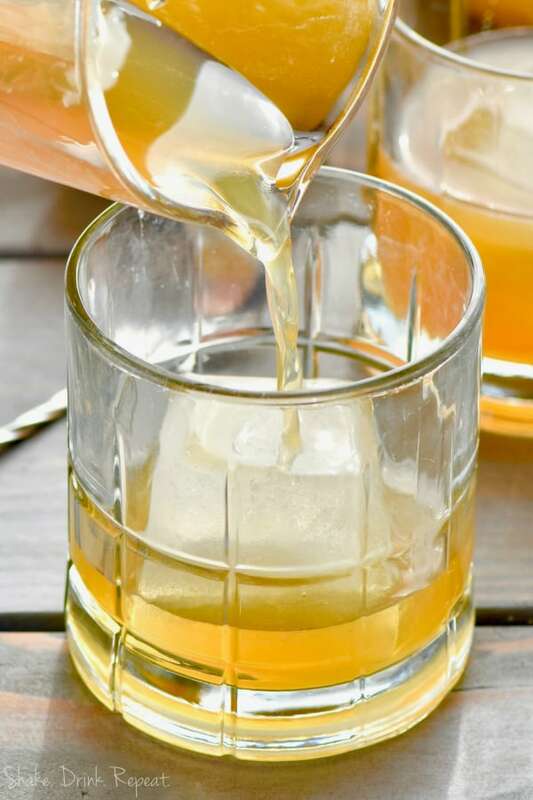 Combine 12 ounces of bourbon with half a cup of lemon juice and half a cup of honey. Mix all the ingredients together, making sure to fully incorporate the honey. TIP: Microwave the honey for ten seconds so it’s easier to pour and combine with the other ingredients. You can also add a small bit of hot water to make it thinner, if nuking it isn’t your thing. Pour into tall glasses with large ice cubes and prepare to sit and sip the summer away. 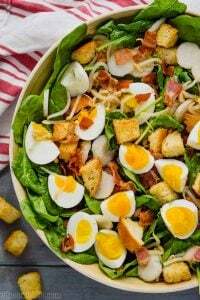 See recipe below to make one serving. But this is the kind of drink you’ll want to have on hand for an evening of relaxing outside. 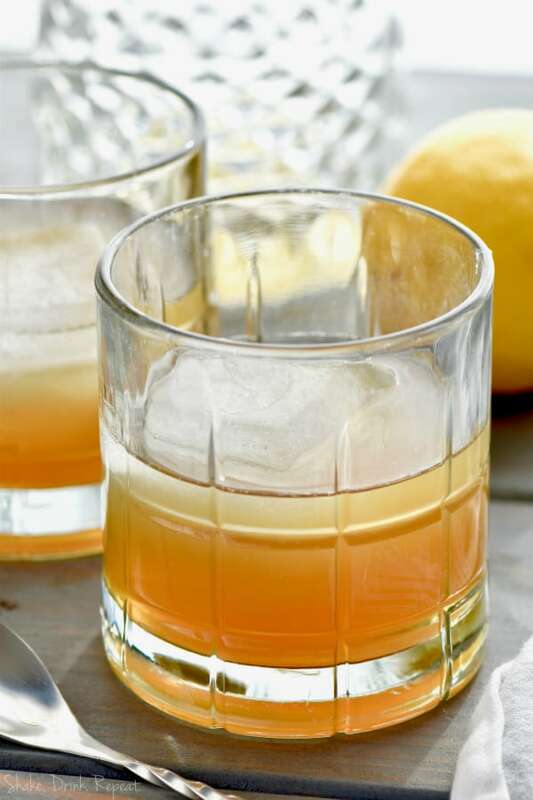 For a couple more tasty cocktails, try this Beerade recipe or this Ginger Whiskey Cocktail. 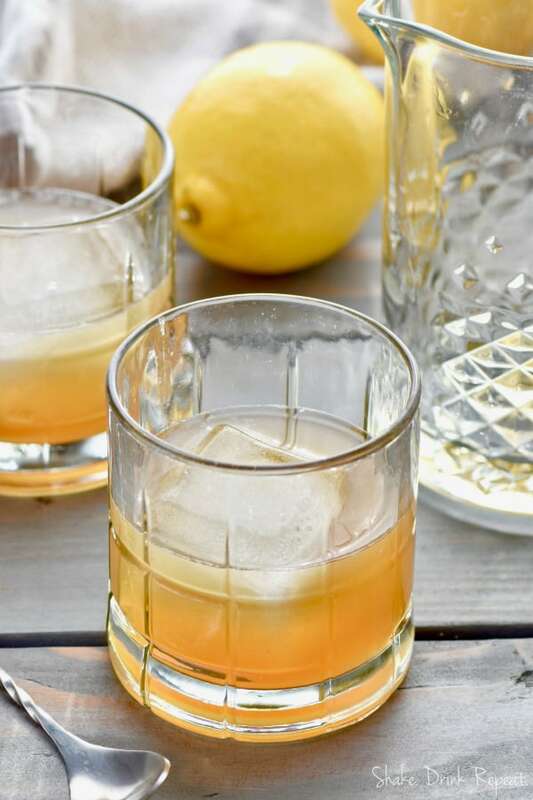 This Gold Rush Cocktail is three simple ingredients. 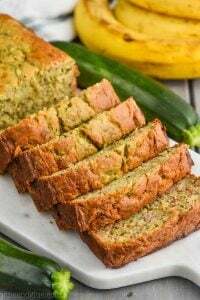 Make a huge batch and sip it on the patio on a warm day! To make one cocktail: In a mixing glass, whisk together ingredients until fully combined. Shake with ice and then strain into a glass with a large ice cube. 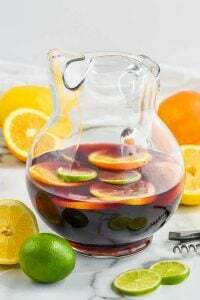 To make a full pitcher: Whisk the ingredients together in a large pitcher, making sure to fully incorporate the honey. Chill in the refrigerator for two to four hours. Strain into glasses with large ice cubes.